With president-elect Donald Trump headed toward a January 20, 2017 inauguration, one thing is certain–national reciprocity for concealed carry will have a friend in the White House. Trump’s support for national reciprocity coincides with HR 923; a national reciprocity push from Senator John Cornyn (R-TX) and Representative Marlin Stutzman (R-IN-3rd). The push is a major facet of Gun Owners of America’s (GOA) plan not simply to hold ground, but to expand the territory held. 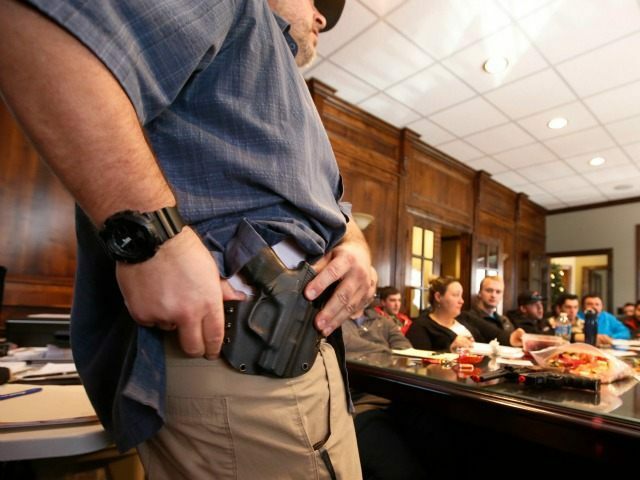 Concealed carry reciprocity legislation could begin moving in Congress real soon. So it’s important for gun owners to contact their representatives and urge them to co-sponsor HR 923, the measure which establishes reciprocity and safeguards Constitutional Carry. Gun owners shouldn’t have to ask for permission to exercise their constitutionally protected rights. And that’s the beauty of HR 923. If it passes, all concealed carriers — even those from permitless carry states — will not have to fear prosecution when traveling with firearms from coast-to-coast. The idea that “gun owners shouldn’t have to ask permission to exercise their constitutionally protected rights” perfectly aligns with Trump’s assessment that “concealed carry…is a right, not a privilege.” And it serves to level the playing field between law-abiding citizens and criminals by drastically reducing the number of places/states in which citizens must walk about unarmed, therefore defenseless.